To access Charleston City Code,click here. The City Clerk is a Charter Officer of City Government. This Office serves as the ex officio administrator of all City Council meetings. We create and maintain all official City documents such as those relating to municipal elections, cemetery records, financial statements, Council meeting minutes, standing committee reports and an abstract of enacted ordinances. All of these are records are openly available upon request. The Clerk's Office serves as the starting point for anyone interested in running for municipal election. All election filings are handled by us. We can provide you with information on that process or answer general questions about other elected offices. 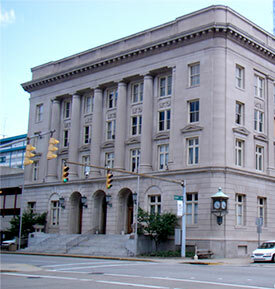 Under Charleston's Ordinances this Office is recognized as the primary point of contact between the City and the public. If you have any questions about Charleston please give us a call or stop by to see us. We look forward to serving you. Thank you for your interest in our City!